I went shopping last week with Tessa Prieto-Valdez. Let me just say, she is such a great sales talker! I can't blame her for being that passionate really. When Watsons goes on sale it almost feels as if they're just giving away their stuff for free. 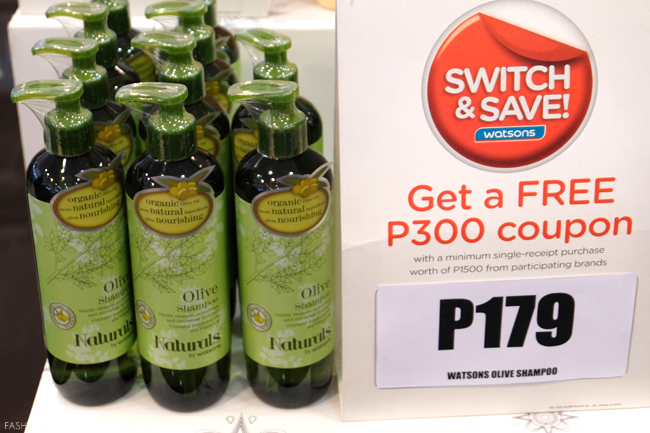 Think Buy 1 Take 1 on large-sized organic shampoo's that cost only P179 + a free P300 coupon with every purchase...Doesn't that make you feel as if you're getting tons of stuff for free? It certainly made me feel that way even without Tessa prodding me to add more stuff to my cart (haha). It's just really, really, really cheap! 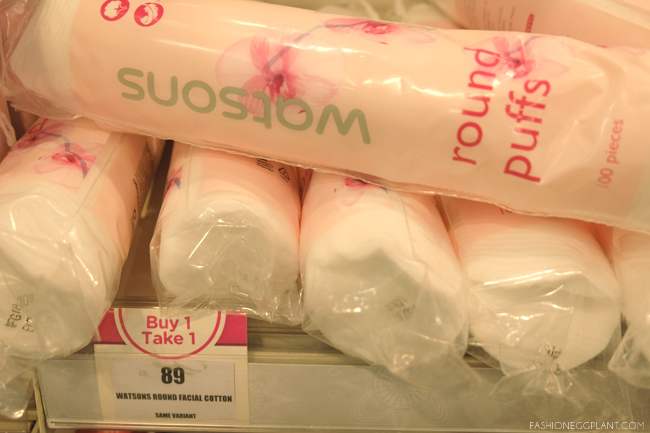 Which is great since most everything Watsons sells are househeold essentials. The Switch & Save sale allows me to save up to 80% off on toiletries so I can set aside my money for other things such as travel, renovations (;P), new furniture, spa treatments, (etc) instead. 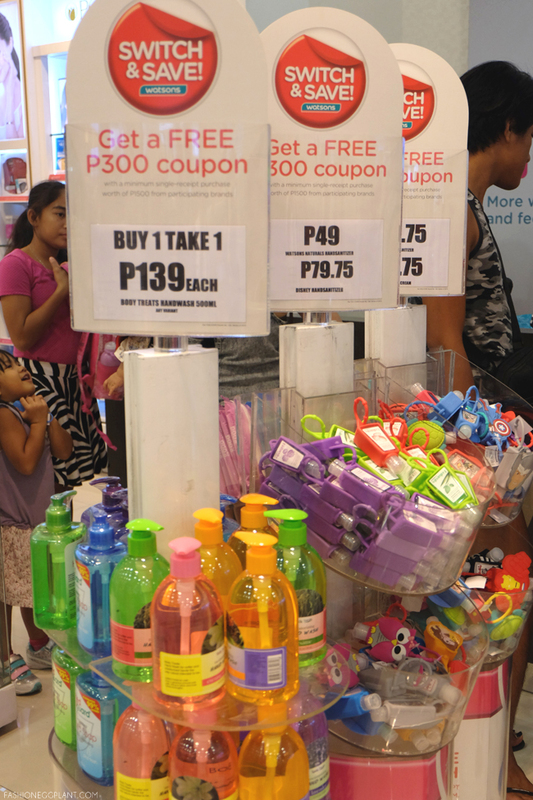 Aside from toiletries, you can also enjoy great savings on vitamins, medicine and styling tools! This is probably why these fellow mom bloggers as well as other celebrities such as Patty Laurel, Iya Villania and Christian Bautista have decided to make the switch along with me, Tessa and millions of other people. These deals are just too hard to resist! Plus, I love how each purchase allows me to add more points to my SM Advantage Card to get even more stuff. (no I am not a hoarder). Despite being known as a socialite, there's no denying that Tessa is just like us when it comes to shopping. She's a smart shopper who loves and can't resist a good deal. Among her favorites are the Watsons Body Serum Whitening that instantly lightens and reduces dark spots and visible imperfections. There’s also Watsons Body Lotion Whitening Mulberry designed to nourish and helps to provide whitening effects, giving you fairer and radiant skin. Her bath essentials meanwhile include; Watsons Cream Handsoap Strawberry and Yoghurt that effectively cleanses and protects hands from dryness; Watsons scented cream body wash with goat milk; to gently slough off dead skin cells and helps to hydrate and brighten the skin and Watsons Milk & Salt Scrub Whitening to help enhance the skin, and exfoliate dead skin cells. To keep her skin looking healthy and protect it from free radical damage, Tessa relies on a couple of products; Watsons Glutathione to lighten skin and prevent skin darkening caused by UV exposure; and Watsons Vitamin E to prevent eye disorders and help her avoid a number of diseases. 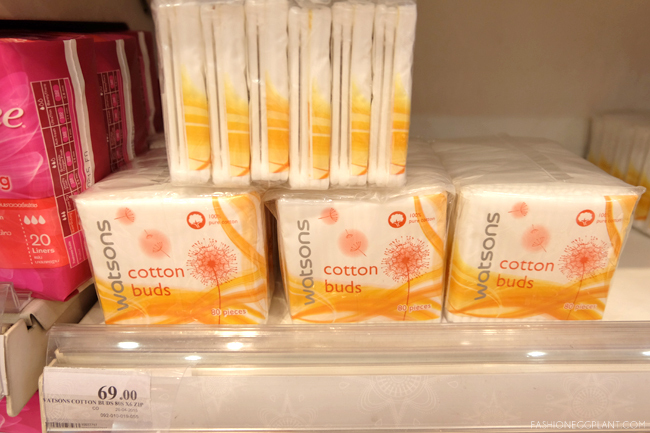 My absolute favorites during their annual sales are their cotton products and tissues. Since they have no expiration, I make it a point to get as much of these as I can to take advantage of the Buy 1 Take 1 deals. 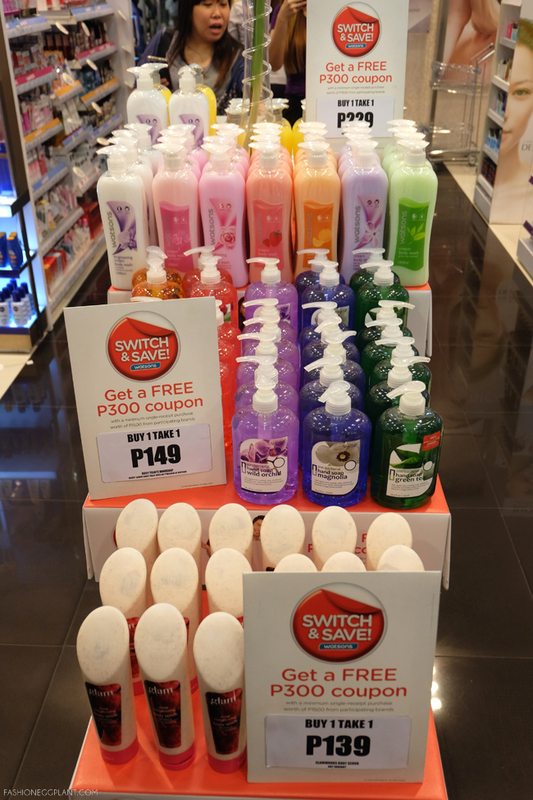 Drop by any Watsons stores and enjoy more savings with the “Shop to Save” promo. 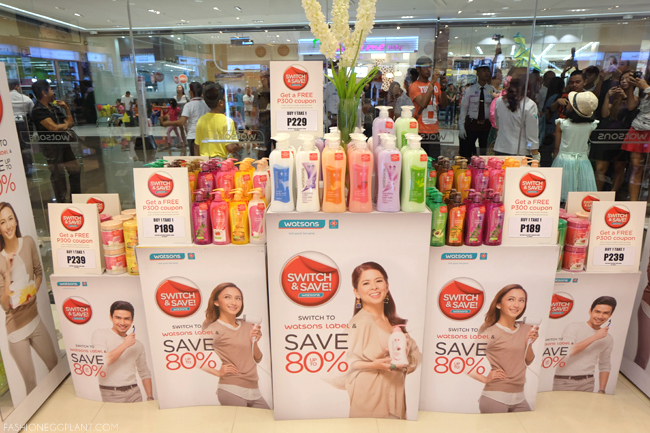 Get a free P300 coupon with a minimum single-receipt purchase of P1500 from the participating Watsons Label products and exclusive participating brands. Promo will run until May 20, 2015! Guilty! Watson's is a place I don't want to go to pag limited budget kasi ubos talaga pera lalo sa mga hand soap deals and stuff. Wow! This is great! 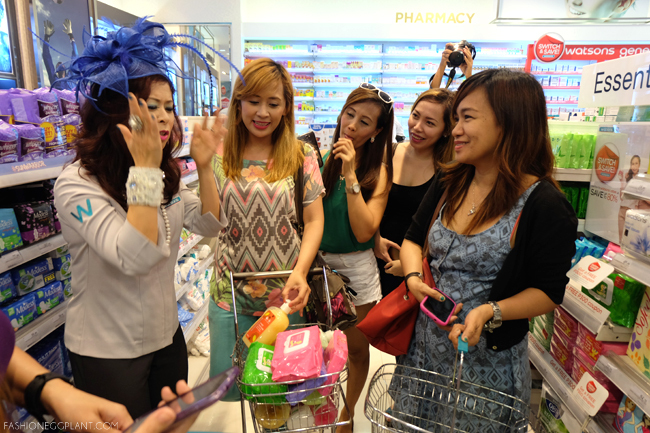 There's no doubt that Watsons is a fantastic company. I love shopping at Watsons! specially the Buy 1 Take 1 items -- super sulit talaga! I love Watsons I haven't explored some of their products yet. But among those I've tried, my face is the Strawberry and Cream handwash.